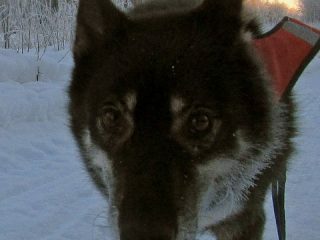 Three legged senior sled dog and bone cancer hero Calpurnia mushes in Alaska during winter. 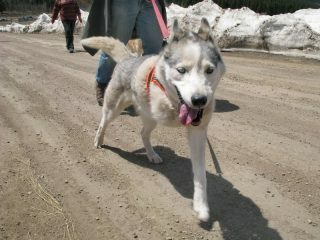 How to help rescued sled dogs found in rural Park County Colorado. Three legged senior working sled dog Calpurnia celebrates her two year anniversary after a bone cancer diagnosis and amputation. Tripod dog in Colorado competes in canicross sport.